You created us in your image and called us to be one. But we mistake being one for being the same. We see difference not as a blessing but as a curse. look like us, and even worship like us. We deny your bold imagination and the diversity of your handiwork. Forgive us, O God, for our narrow world view. Forgive us for choosing comfort over creativity and mistaking uniformity for unity. Copyright © 1992 Choristers Guild. All rights reserved. Printed in the U.S.A. I follow, for God’s sake. And face my fear instead. Into the fold of God. My cup with grace o’erflows. I’ll join the songs of praise. Holy, holy, holy. My heart, my heart adores you! My heart know how to say to you: you are holy, Lord! Santo, santo, santo. ¡Mi corazón te adora! Mi corazón te sabe decir: ¡Santo eres, Señor! Participants in Today’s Service: Guest Pastor: Philip Beisswenger; Pastor: John Hilley; Music Director: Nate Strasser; Musicians: Choir, Praise Band, Briana Tyson, Joe Ennis. This week in Children's Worship: As we gear-up for Stewardship season, we will start talking upstairs about different ways we can give of our time, talents, and resources. We will make plans for ways we can give of ourselves to others both as individuals and as a EBPC Children's Worship family! We will also practice the song we will sing in worship for Children's Sabbath on October 22! This week in Upwards: We will also talk about ways we can give of our time, talent, and resources to help others. We will also continue rehearsing our Reformation Sunday skit called Martin Luther Comes to EBPC! Are you interested in joining the church? If so, please join Pastor John for a brief meeting at 9 am on Sunday, October 22nd in his office. Many thanks to all who volunteered at Glenview Elementary's Fall Fest on Oct. 5! What a blessing it was to be a small part in making a fun night for so many Glenview students and families and got us thinking about our own Fall Fest at the end of this month! The theologian and monk Martin Luther posted his ninety-five theses on the door of the Wittenberg Castle Church on October 31, 1517. It led to what became known as the Protestant Reformation and is purported to be one of the most seismic changes in human history. He made a big statement to bring attention to real problems he saw within his church that had lost contact with making faith accessible to the common people. 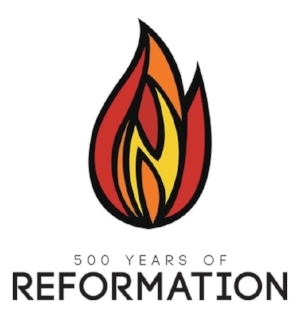 Churches and denominations are holding events to commemorate the 500th anniversary and we will be doing the same each week during the month of October here at EBPC. Each Sunday will incorporate a little bit of history from this period and feature a focus on a Psalm (which Luther loved and studied). Our music will incorporate some of the great hymns he penned. On Reformation Sunday, October 29th our church will present a play featuring children and adults of our congregation and Martin Luther himself. Sixteenth-century Christians confronted issues that still face us today. Just as in the days of Martin Luther, we are living in a world undergoing enormous changes in the social, political, economic, religious, cultural and technological arenas. As in the times of the monk from Wittenberg, these changes also challenge and force the Church to rethink and transform itself. These questions include what it means to follow Christ, how to hold to the truth and yet still co-exist with neighbors who hold different views, and, in many cases, how to live as a religious minority. Examining previous generations’ approaches can offer today’s Christians a richer and deeper understanding of possible ways forward.